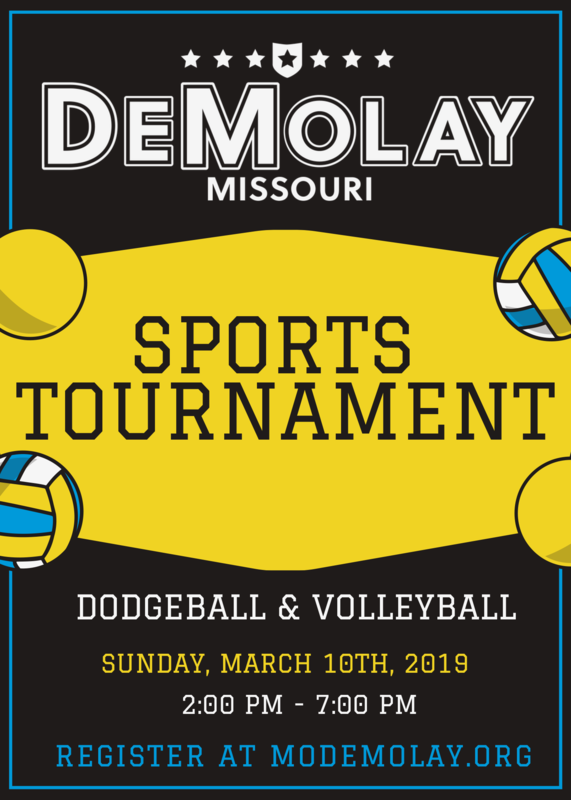 Join Missouri DeMolay for an event filled with camaraderie and competition on Sunday, March 10, 2019, at the Moolah Shrine Temple. Dodgeball and volleyball will be played to compete for the coveted Missouri DeMolay centennial sports champion title. Make sure to register as soon as possible to secure your team’s spot. This event is open to all Masonic Youth Groups – we encourage you to get in contact with the Job’s Daughters and Rainbows in your area.